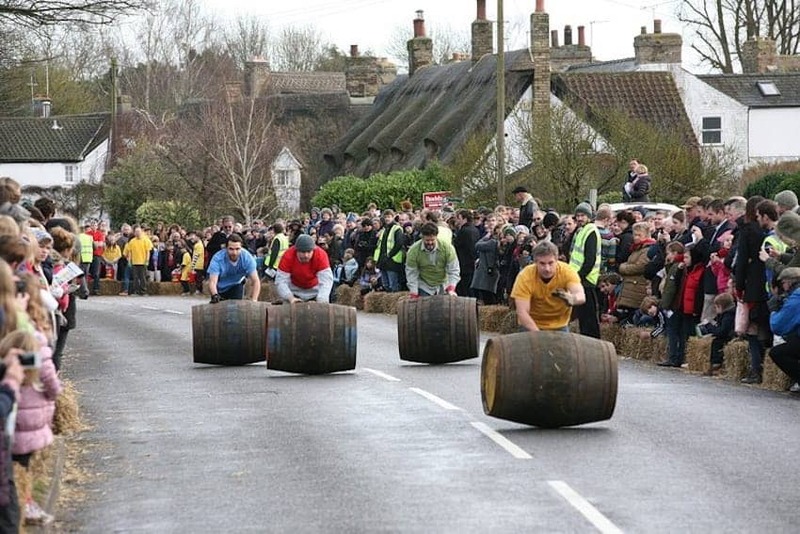 Every year on 26th December, Grantchester, near Cambridge, holds an inter-village barrel race as a charity fundraiser. Teams compete, usually four at a time, in a relay race up and down the Coton Road before lunch on Boxing Day. The Race was only revived recently though the tradition dates back to the 1960s. Crowds of spectators yell encouragement from behind a wall of straw bales and afterwards, all can join in with a hog roast at the Rupert Brooke pub.